Global premium luggage label Antler continues to celebrate 100 years of British design and innovation, introducing the celebrated, best-selling Sterling suitcase in a brand new colour-way. One of the most celebrated Antler designs, the Sterling, is now available in green for summer 2014, exclusively at on the official Antler website. Available in large and cabin sizes, the modern classic features a design based on a deconstructed Union Jack. With a tough but light makrolon polycarbonate shell, the colour-way was developed to meet customer demand after sell-out editions of other colours including red, blue and white. Features include a fixed TSA combination lock, internal packing straps, internal pocket and wash bag, branded 360 degree rotating wheels and comfortable grip handles. 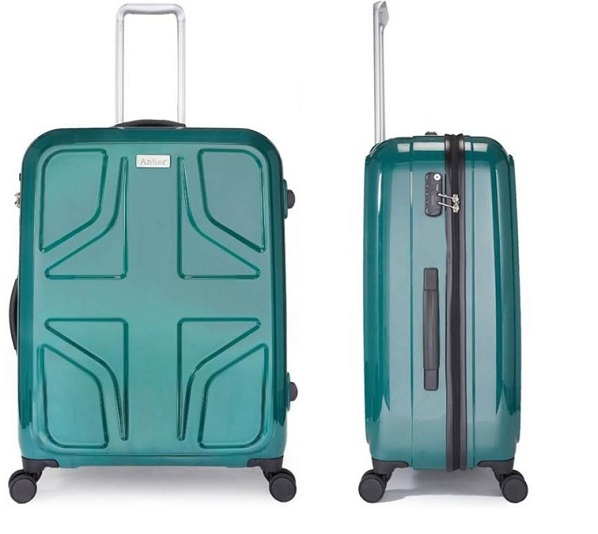 The Sterling large suitcase is priced at £220 while the Sterling cabin suitcase is £195.